I love fresh veggies in the summer. 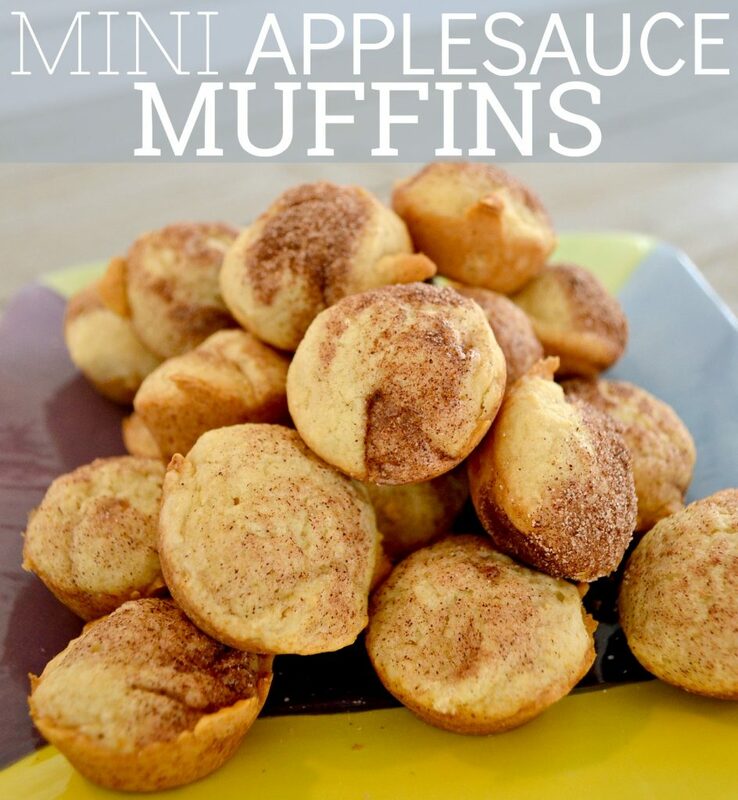 They taste so good and there are so many different ways to cook them. 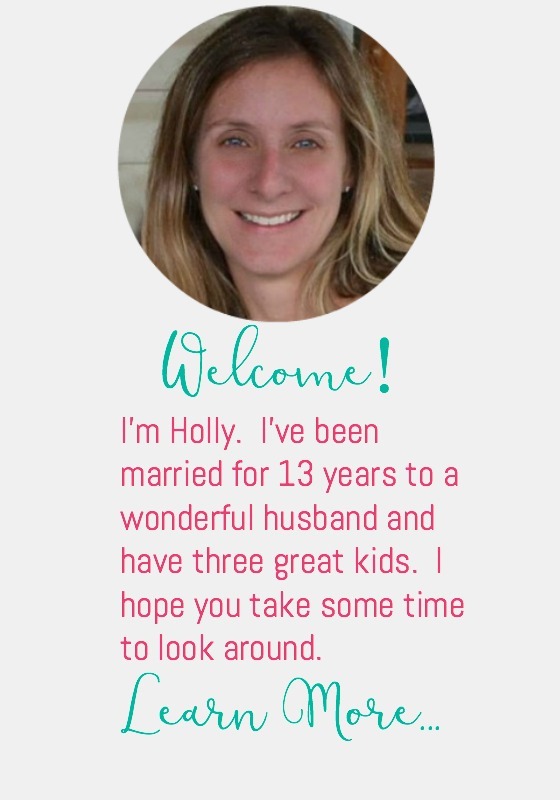 My favorite is the grill. I’m always grilling out and not just the meat. I like to grill the whole meal. 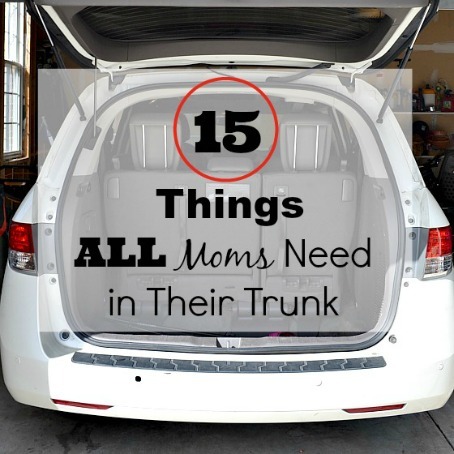 It makes life so much easier! If you love cilantro, you are going to love this. I know people love it or hate and I LOVE it! If you don’t like cilantro, just leave it out. It’s still delicious! Cook rice according to directions. When done, add lime juice and 1/3 cup chopped cilantro. Set aside. Slice zucchini into quartered spears. Take core out of peppers and slice each pepper into fourths. Place in peppers and zucchini into large baggie with olive oil and salt. Coat the vegetables well. Place corn, zucchini, and peppers on grill. Rotate. The corn will take a little longer so make sure you start that a little before the other veggies. 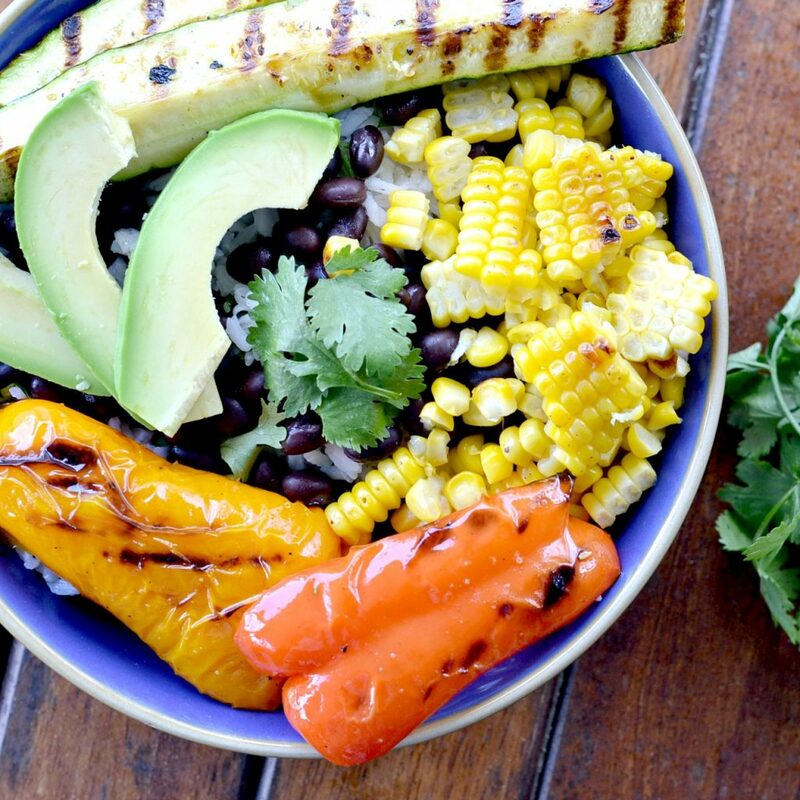 Place cilantro rice in bowl, top with black beans, add zucchini, peppers, corn, sliced avocado, and cilantro to top. Drizzle with your favorite BBQ sauce! 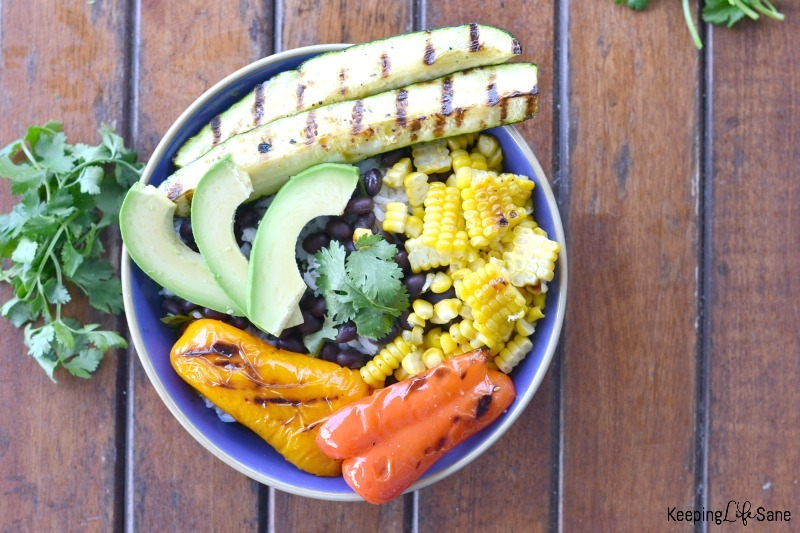 Get this recipe for a HEALTHY summer BBQ veggie bowl. It's so delicious and colorful. Make sure you make extra so you can have leftovers. Cook rice according to directions. When done, add lime juice and ⅓ cup chopped cilantro. Set aside. 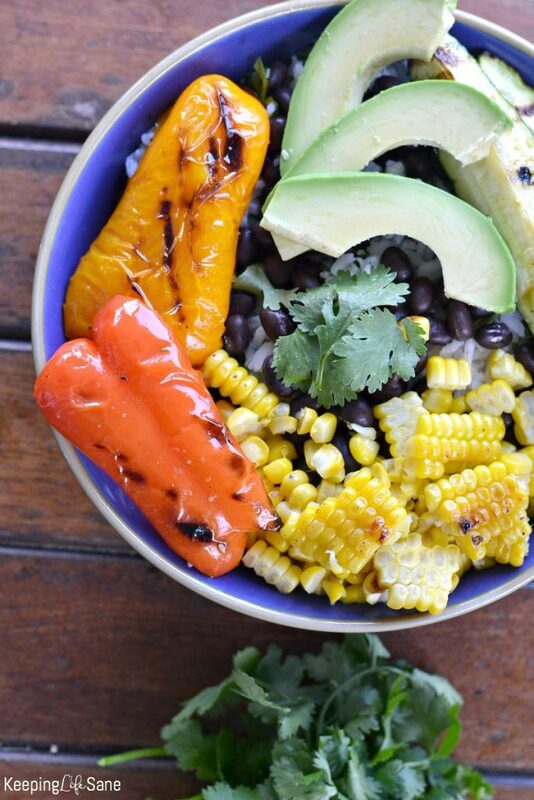 Place cilantro rice in bowl, top with black beans, add zucchini, peppers, corn, sliced avocado, and cilantro to top. Drizzle with your favorite BBQ sauce. 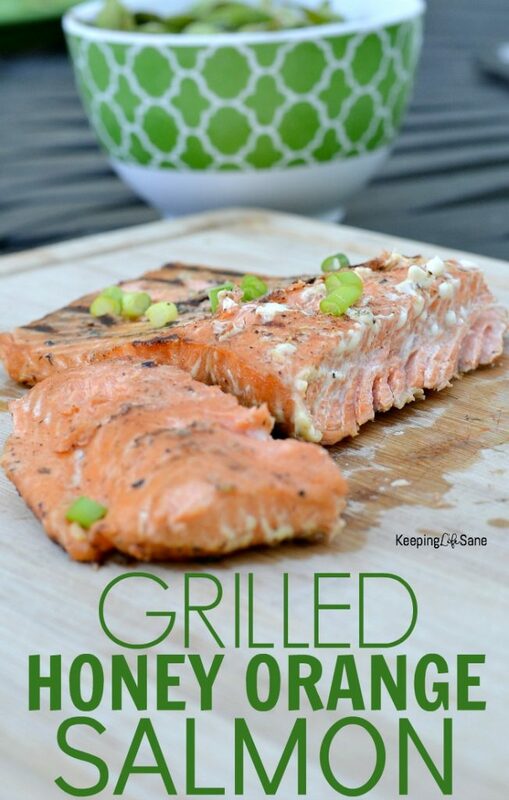 You may also like this recipe to grill!